“Plant a tree for those who come after me”. 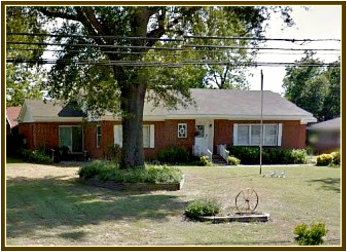 We sold our Lodge Hall and we are now meeting in a member's home until we can find a place to meet. 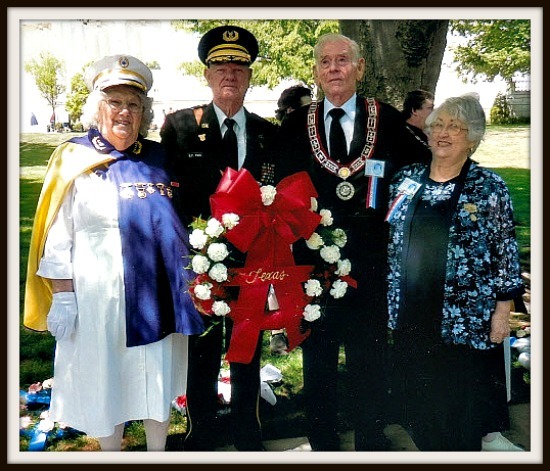 Frank and Rosa Ford and Derrell and Pat Hollingsworth had the honor of laying a wreath at the Tomb of the Unknown Soldier in Arlington, Virginia. This was the second time for Frank , Rosa, and Pat to participate. 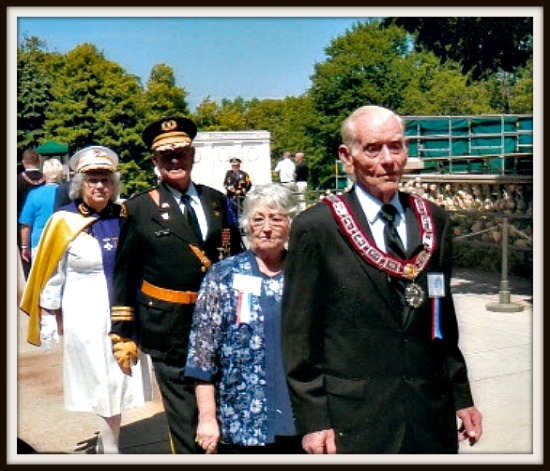 This year marked the 80th annual I.O.O.F. Pilgrimage to the Tomb of the Unknowns. 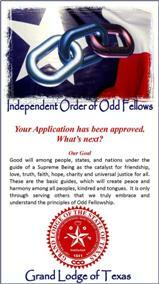 Pictured below are Derrell Hollingsworth, Grand Master I.O.O.F. of Texas; Pat Hollingsworth, President Rebekah Assembly of Texas; Col. Frank Ford, Department Commander Dept. Council of Texas; and Lady Rosa Ford, President Dept. Association L.A.P.M. of Texas. 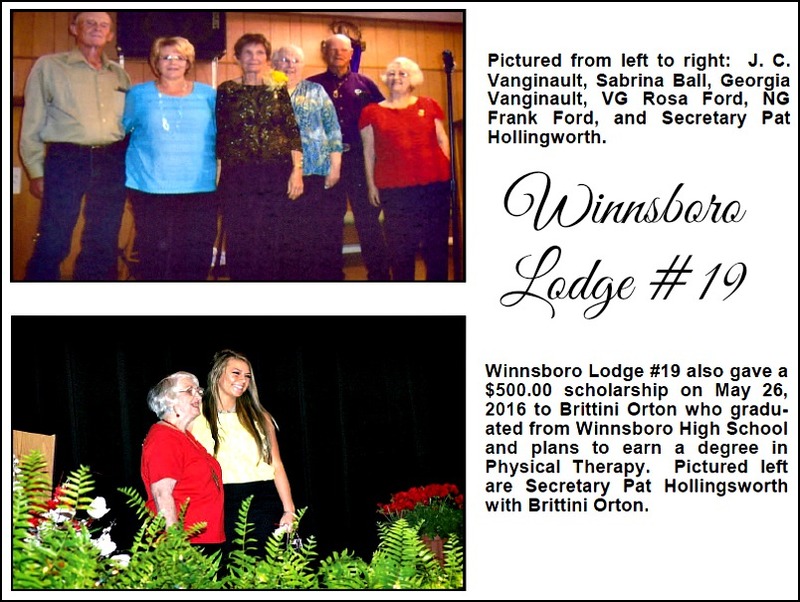 They also are all members of Winnsboro I.O.O.F. Lodge #19.